Where to even begin talking about this band? 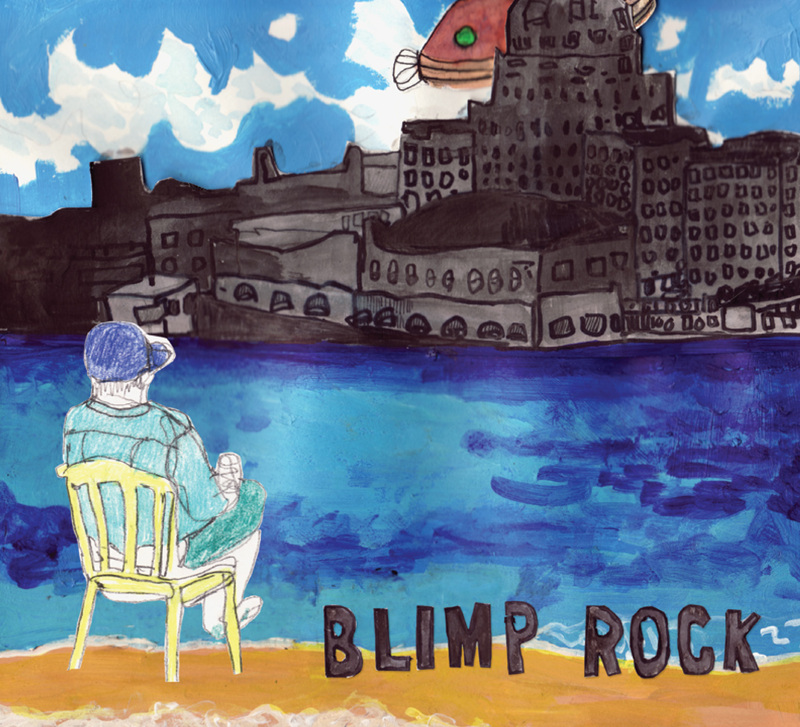 Perhaps it would make sense to start with the fact that Blimp Rock, both the band and the album (since they share the same name), is a huge ball of metatext. According to their press release, the band formed for the sole purpose of making $700,000 to purchase a functioning airship for a festival that will take place over Lake Ontario. Whether that’s a joke or not isn’t really clear, because another layer to this band is their thin layer of irony that covers everything. Blimp Rock excel in an area that few bands can get away with; pop or rock music with witty lyrics that straddle the line between sharply witty and outright comedy. Acts like Christian Hansen and The Burning Hell have both done this well, and Blimp Rock can count itself safely within their ranks. After all, how many bands could make a song about Lake Ontario lifeguards be entertaining? And yet another layer to Blimp Rock is the band’s clear love for the city of Toronto. There’s a surprisingly sweet tribute (sort of) to the busy Toronto highway in the song “401.” And then there’s “Oh, Baseball,” the surprisingly feel-good album closer which begins with a fable baseball fans know well: “In October of ’93 in a city some call TO/a baseball was hit by a good man named Joe.” The song rightly points out that sporting events are that which brings the city together. So there’s quite a lot to Blimp Rock beyond the surface of the perplexing name and cool album cover. There’s the very sharp “Monogamy Blues,” which is a song about exactly what the title implies. A couple are bored of being together, and the song ends with the couple having a bit of a fight. There’s also a pretty nice song called “In General” that is all about the dangers of generalizing groups of people (something the singer says you shouldn’t do except with kittens and “certain extremist groups”). The instrumentation is never too heavy, much like the way The Burning Hell’s songs usually are. But some songs are propelled forward by the tunes, like the fast-paced “If My Friends Ran the Government.” The percussion sounds like clockwork, and the song also makes a funny reference to a well-known funk band. However serious Blimp Rock is about raising $700,000, they can at least be happy to know they’ve made an album that sticks. This is a blimp filled with helium all the way. I feel like you really “get” them. This review is stellar and the album is too. Just bought the cassette! Thanks for the exceedingly kind comment, Kat! Best of luck with the SoundClash prize- this list is the best I’ve seen so far. Thanks Michael! I agree, the list is killer. I’m honoured to be included.